Now, assuming this is followed, does this mean that you have democracy? It would seem so as democracy, by definition, means government by the people - especially rule by the majority. There are many quotes from great leaders indicating how terrible democracy is, probably summarized best by Winston Churchill as "democracy is the worst form of government except all the others that have been tried." In fact, the Founding Fathers of the US didn't even setup America as a democracy because they feared the tyranny of the majority. In a democracy, successfully elected politicians vote for the laws they think are best. There are also many instances where voters get to vote directly on specific laws, typically referred to as ballot initiatives or referendum. 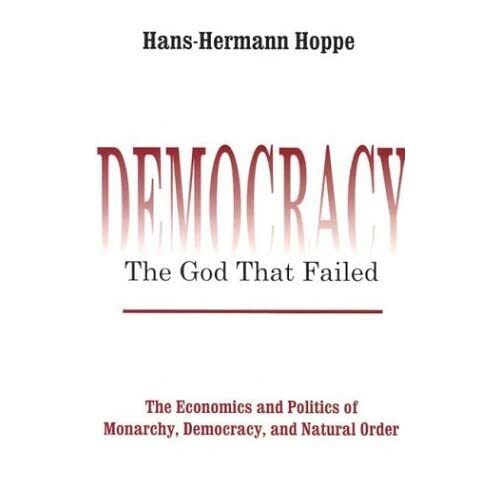 There are many arguments against allowing this "direct democracy," such as the majority already delegated that responsibility to a politician and it's up to the politician to express their will, it makes the political process much more inefficient and costly if everyone gets to vote on everything, it's less flexible when changes need to occur, and it's more prone to special interest manipulation. But what else can you do when politicians don't act properly in the name of the people (much less the majority)? Direct democracy also has many benefits, such as allowing the public to enact changes that the elected officials are unwilling or unable to, improving the responsiveness of politicians, and increasing voter turnout (especially considering most people don't vote). Across all political ideologies, those who live in democracies are getting frustrated. Accusations abound that elected representatives aren't doing what they said they would do, that special interests have taken precedence over the rights of the people, that voting doesn't make a difference anymore, that elections are rigged, that the rich are getting richer while the middle-class become poor and the poor get poorer, that there's no real difference between left and right political parties, that civil rights are being trampled in increasing numbers, that economies are faltering, and that government continues to get more powerful. So what can be done? Is democracy as a political institution failing? Do you think democracy is providing you, personally, the benefits that you seek? What benefits are you getting from democracy? What are the problems with democracy, and how can they be corrected? Is it ever possible for the voters to control their political leaders by voting? Is there a better political structure than democracy? No institution of modern life commands as much veneration as democracy. It comes closer than anything else to being the supreme object of adoration in a global religion. Anyone who denies its righteousness and desirability soon finds himself a pariah. One may get away with denouncing motherhood and apple pie, but not with speaking ill of democracy, which is now the principal icon of political and social life throughout the world. Many people are atheists, but few are antidemocrats. Democracy has always had its critics. No one claims that it is a perfect system for choosing political leaders or for putting in place the policies and laws the public prefers. Obviously, when individual preferences differ, no one political outcome can please everybody, and the "tyranny of the majority" stands as a constant menace to the lives, liberties, and property of unpopular minorities. Yet, most people continue to insist that democracy, with all its faults, offers the best institutional arrangement for making rulers accountable to the people. So long as elections continue to be held, the possibility always remains of "throwing the rascals out." What has not been widely recognized, however, is the problem of faits accomplis. Once elected rulers have taken office, the democratic system provides little or no effective means for the people to bring them to heel short of the next election. The great problem is that, by that time, it may be impossible to reverse the outcomes the rulers have brought about.